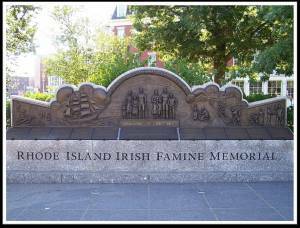 PVD Police ask for assistance in identification – RI Irish Famine Memorial theft. 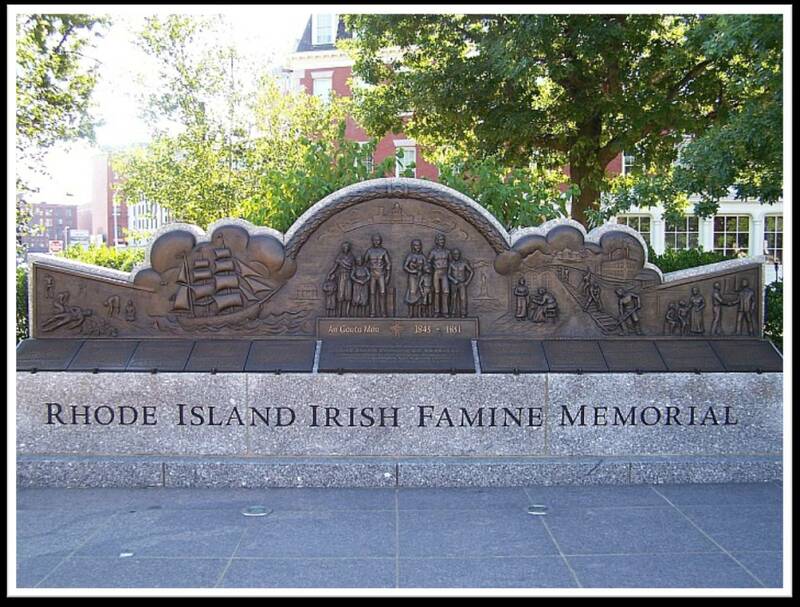 Providence Police Detectives are seeking information from the public to assist in the identification of the subject(s) responsible for recent larcenies that occurred at the Rhode Island Irish Famine Memorial, located at 100 Dyer Street. 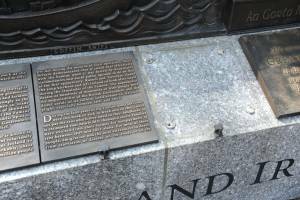 Two memorial plaques that were secured on the memorial, a large stone structure, have been stolen. One plaque was reported stolen to police on August 28th and is believed to have been removed between August 12th and August 16th. 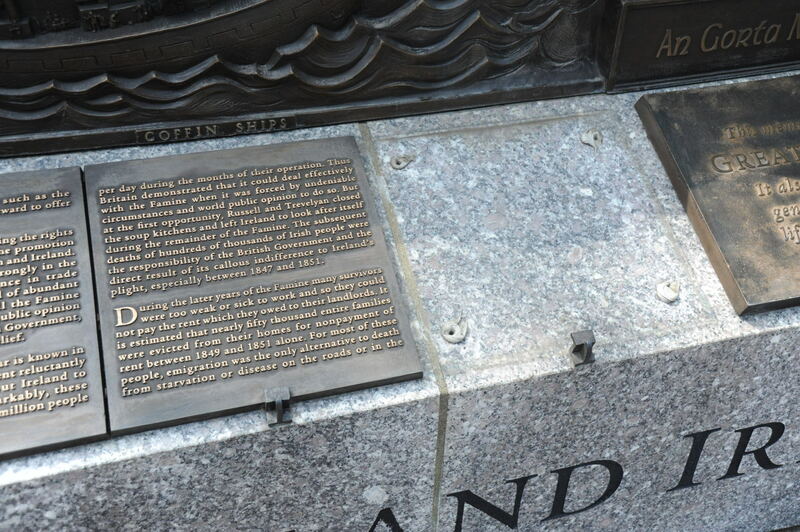 The second plaque was reported stolen on August 30th. Photos of the memorial prior to the plaques being stolen and after the first plaque was stolen.